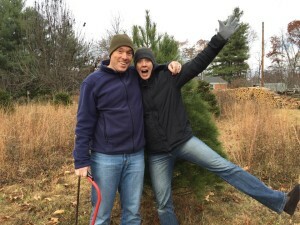 Every year (for the past 4 years) we drive out to Covesville to get our Christmas tree. It often takes a while to find the perfect tree but this year, it was waiting for us right near the top of the hill. We found it in 5 minutes! A little bit of meanness is a good thing when you are growing up. So dealing with a peer who is a little bit mean is actually good. The difficulty is knowing where to draw the line? When does productive becoming damaging? Text based is going away and picture based is becoming more relevant in the past year or 2. Pictures and images – kids don’t believe there are any rules about the kids taking and posting pictures of other people. But they believe there should be rules and social norms about them. Disinhibition – should you say in real life what you posted online? Emotions become more intense online because you are able to interact with many people quickly and build up the emotions from that interaction (texting 30 friend and getting lots of feedback to fan the flames as opposed to talking on the phone with 1 friend). Increase in self-focus – because there’s not another person right there looking at you, you get more self focused. Misinterpretation – someone reads what you wrote in a different way then you meant. Emoticons can actually be helpful to help with misinterpretations. The Internet feels deceptively private. When you are in a private space physically, your online time feels a bit more private even if they know it isn’t private. When kids regretted sending or posting something, 83% of the children say they posted from their bedroom. Children owning smartphones. 46% of 5th graders own smartphones. I believe our numbers are lower thTn that but I’d love to get some data from LS. Adult predators aren’t the biggest danger online. Peers from the same school are the biggest issue students will run into. Smartphones aren’t phones. Don’t think of them as phones. Just because they have “privacy settings” doesn’t mean the site is private. Kid sexting isn’t ALWAYS a serious problem (meaning it isn’t always accompanied by damage). It isn’t rare nor is it pathological. Sexting usually isn’t prosecuted currently in the USA. Sexting needs to be addressed before high school. The real issue is kids coerced into sexting. 48% of boys were coerced into sexting while 70% of girls. Pressure or coercion was at least part of the reason for sexting when someone said they were coerced. Sexting in this study refers to sending a naked picture of yourself to someone else. Choice of friends is so important. Will they be a good influence on you or a negative influence? Self-cyberbullying- making a 2nd persona to bully themselves and then showing friends/parents that they are being bullied. 15% of students who are bullied say they self-cyberbully (and they do this so that other people worry about them). Only 16% of those self-cyberbullying kids had this method work for them (people believe them and they liked how it made them feel). Teach students the 24 hour rule. Wait 24 hours before you post/respond when you’re mad. Vamping – kids stay up talking and chatting when their parents think they are asleep. 75% of kids say they go online or text when their parents think they are asleep. 1-2 hours a night… They need downtime but when their schedule is packed, the only time to do it is sleep time. Just finished my last game of the adult 7v7 season and crushed my right leg. Not really sure what happened but I can’t walk too well right now. I’ll check in with Dr. Van. Monday to see what she thinks about it. I did score 2 goals and we won 5-3 with only 6 players. A nice finish to a not so great season. In this season I had 2 of my worse losses I can remember. 0-8 and 2-12. Ugh.